So the question suddently dived into my mind, is iOS 8 launched?. 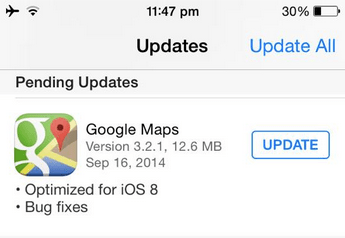 See the following image of apple app store application on iphone 5 showing google maps update available for version 3.2.1, 12.6 mb in size on 16th september, 2014. Well this clearly shows that Google had access to iOS 8.0 before it’s even launched probably as they’ve updated it for the new operating system already! 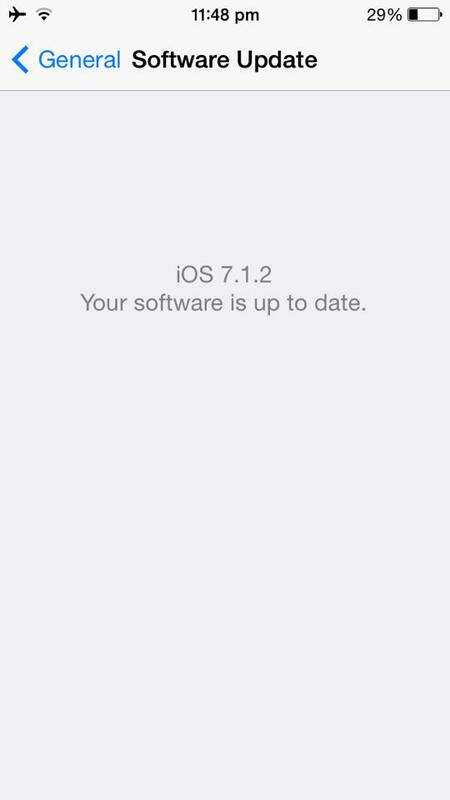 I rushed to the iOS 8 update in Settings > General > Software Update but surprisingly there is no update available for the iOS and the latest version was said to be iOS 7.1.2. and that “your software is up to date”. Well some of us might argue that well probably google had the files to iOS 8 before hand as it’s a big giant, well gentle man, google is a competitor to iOS via android operating system. You mean both the opponents work in collaboration? when what’s the all play about? seems fishy either ways! What’s your opinion about Google having iOS 8 update for apple iPhone launched and rolled out even before the launch of the iOS itself? What does it possibly signify?